As a freelance writer, so long as I meet my deadlines, I can choose when and how much I work — it’s a big perk of being self-employed. 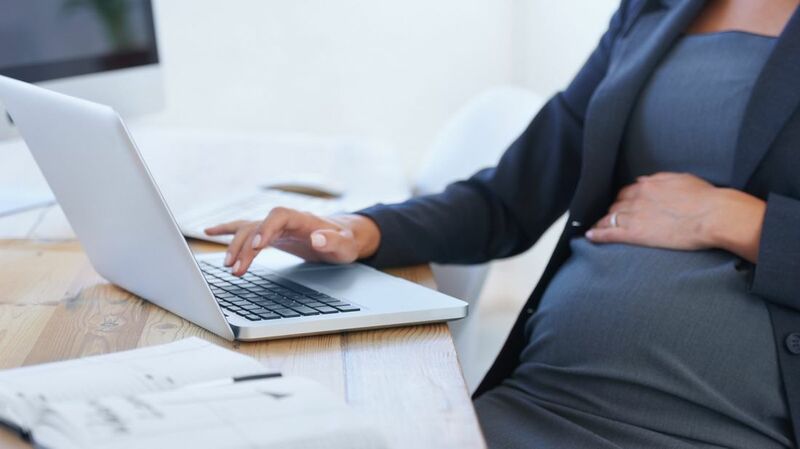 But when I was pregnant with my daughter two years ago, being the master of my work day forced me into a gnarly predicament: How much time should I take off for maternity leave? For many people, the answer to that question is spelled out in their employee benefits handbook. For me, it was brimming with considerations for my career. How much money was I willing to forgo if I stepped away from work for a while? How much could I afford to leave on the table? Would I disappear from my editors’ radar if I stayed away too long? Will I need a babysitter, or will my work routine stay the same, after my daughter arrives? While I love the freedom of being an independent contractor, it can be difficult to manage major life moments without the support of a larger organization. Today, two years later, I’m a proud mother, I took maternity leave, and I’m still in the freelance game. I’m living proof it can be done, but you need a plan. Here are six pieces of advice to help you gracefully transition into parenthood as a freelancer. First-time parents underestimate how much a baby costs and how much work they can get done with a newborn around, according to business and financial writer Carol Katarsky. "To prep for my leave, I figured out what I thought I would need and put away twice that — and we spent almost all of it," she says. "In part because I took off a month longer than I planned and when I did start working again I worked fewer hours than I anticipated." The months before your child arrives are no time to coast; rather, that’s the time to hustle even harder than you have been. Take on extra work assignments before your baby arrives to stockpile cash. Pick up a side gig. Do what you can to increase that cash flow early. You might want to start this process as soon as you realize you or your partner is pregnant. 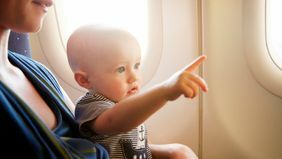 You’ll not only want to budget for lost income while you’re away, but also factor in new expenses, such as childcare, for when you return. 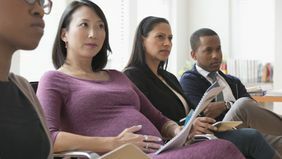 In the United States, while there is no government-mandated paid family leave, many companies offer some form of the benefit for their employees. Freelancers, on the other hand, are typically on their own. However, it is possible purchase private short-term disability insurance to replace some of your income while you are out of work (it can be costly, however). Figure out who will care for your child when you go back to work — even if you work from home. 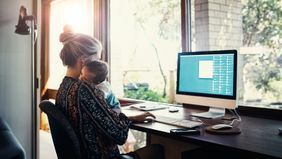 It’s tempting to think you can juggle child supervision and job duties because you work from home, but reality is never this convenient. Don’t wait until it’s too late to come to this realization. Like all working parents, freelancers need a childcare plan. Interview potential babysitters or put your kid on waiting lists for day care. It may seem too soon, but great child care can be hard to find, and care centers typically only take a handful of children under a year old at a time. You want to do all you can to land your first choice of childcare provider. Being proactive is the best to way to ensure that. Breaking the news to your clients or editors is a bit of a tightrope walk: You want to tell them you'll need time off, but you don't want to be devalued or forgotten. You could also choose to skip balancing on the tightrope altogether and keep it a secret — I did. That’s because announcing your parental leave can backfire. "A major client dropped me as soon as they realized I wouldn't be on call essentially 24/7 like I had been in my pre-kid days," Katarsky says. "Even though I had done my best to over-communicate with them about what to expect in the months leading up to my leave, they simply weren't willing to work with me at all. It was demoralizing." If you're in a field where you can get ahead and store up a backlog of finished articles, for example, try to get on top of your deliverables before baby comes. This way, you’ll be ahead of the game and your clients may be none the wiser. Even in the early days of parenthood, your brain may still be in work-mode, and you'll want to remember any ideas or to-dos that come up. Start a note on your phone or keep a journal to jot down those drive-by insights. If you're someone who finds great fulfillment from your work, deploying some regular non-baby-related mental energy can also boost your emotional state when you're in postpartum period. As writer Jennifer Chen puts it, feeling like your old self again for even a brief spell can make a huge impact. "Your brain will be mush. You’ll be sleep deprived. You’ll stand in the kitchen wondering what the heck you came in for, and not remember anything work-related," she says. "But I did work on personal writing projects while I pumped breast milk during the night or daytime hours. Those 15-minute pumping sessions were my time to just feel like I was a creative person." No one can fully prepare for post-baby life. For instance, I pictured myself working at my same desk while my daughter napped, which is why I thought it would be a great idea to put her crib in my office — it was a bad idea. If you're used to having a set routine and schedule, kiss it goodbye and embrace a little chaos. "You may think you know exactly what path you want to take post-baby, but once the baby is here, that can change in an instant," Katarsky says. "Child care arrangements can fall though last-minute; a baby can decide not to sleep for a week straight when you have a major deadline. You need to roll with the punches as best you can." After rolling all these options around in my head years ago, I settled on one month of maternity leave. I also scaled back my workload significantly so I can take care of my child full-time. But that’s me. If you’re a parent-to-be, take this to heart: there's no "right" amount of time to take off post-baby. Some people want (and can) take months or even a year of leave. Give yourself permission to do what works for you.